I have never had anything against the new BMW Mini, I have driven a good few & do like the way they drive. However, there are far too many other cars that do what they do better & for a lot less money for me to ever think about buying one. That's as good a reason I've heard Mark. I've got my sons in the garage sat alongside my two real mini's and parked close to a real mini, 'Mini', it ain't! Umpteen years ago a friend acquired one of the early Binis. After a quick spin around a mall car park I decided it was a real Mini.... It turned, it was fun, the exhaust rattled against the body .. bits fell off ..
Of course it was a real MINI .. I just wouldn't buy one. Mates brother offered a drive in the latest hybrid... why bother. 'Modern Classics' magazine below has a feature this month (July issue) on driving & buying an R53 supercharged MINI Cooper S before the majority of them get to the cheap ragged and written off stage, it suggests £3500 will buy a concours example which should start to appreciate over the next few years if maintained and looked after. 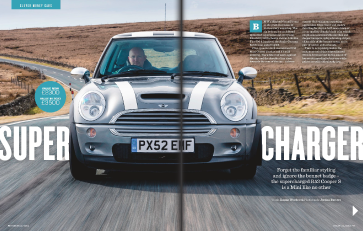 "Forget the familiar styling and ignore the bonnet badge - the supercharged R53 Cooper S is a Mini like no other"
I purchased a one owner from new 2004 S for my son to drive to high school two years ago. The car has been good with just a few jobs that I have been able to complete at home. They kind of remind me of the old BMWs and MBZs I used to work on in the 80's as you can't neglect them but they are easy to work on and you can avoid the cost of parts as there are so many aftermarket sources. As a fun inexpensive drivers car I would have to say it does not get much better. To put it in perspective I spent $5500.00 to get it in 2016 and it came loaded. My BMW 2002 had none of the same options and was way slower for the same price in 1983. I haven`t gone through the period of "tampax" minis preferring to refer them as Botox minis! The 02 S Register is for those who own or have an interest in BMW MINI Cooper S models built in 2002. Your MINI does not have to be on an 02 plate, as 52 plates were issued in 2002. We also welcome any information you may have on the early MINI Cooper S and we look forward to opportunities to get together these early MINI Cooper S models together and enjoy them. The below table lists ALL right hand drive MINIs manufactured in 2002, identified by their TC6nnnn VIN numbers. Unlike the R50 MINIs where the launch of right hand drive MINIs was initially limited to the UK the R53 was launched in 4 right hand drive regions (UK, Japan, Australia and South Africa) very close together. Therefore the VIN numbers of any one region are not necessarily sequential. 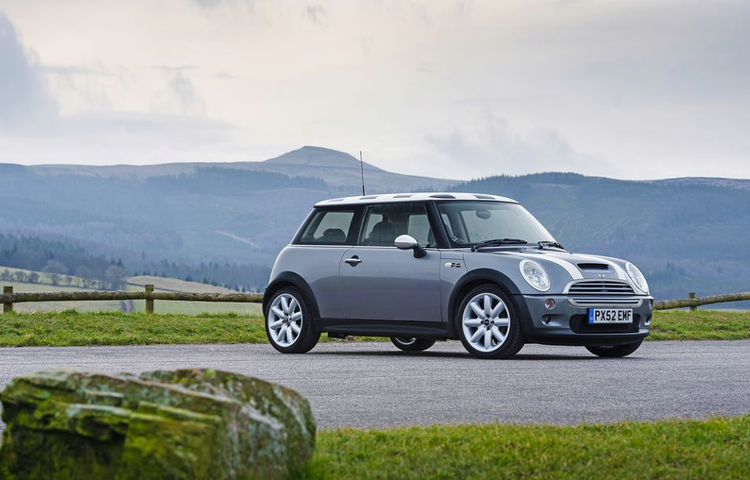 For anyone searching to buy an early R53 MINI Cooper S this list may prove useful. It lists the first 500 or so registration numbers for UK MINIs to help you find that early VIN number when buying! Changing the filtering of the country column also makes it possible to see how a large number of the early VINs ended up abroad. Therefore it's worth considering this when working out how early in the UK market each car is. This is the purpose of the Country Order column. We have a sister Register for Y REG MINIs. This site allows each owner of an R50 MINI to register their MINI with the site. This feature is not currently available on the 02S Register. Its funny cos I'm the opposite. I don't see them as a Mini at all, but probably would buy one . If I did I wouldn't see it as a classic any more than a Toyota Yaris or new Fiat 500/Ford Ka or be particularly interested in it. Talking of which does anyone think that if anything instead of adding to the Mini show scene that their enthusiastic owners are actually ruining it for the Mini lovers who visit shows hoping to see classic cars and instead are greeted by the sight of row upon row of MINIS. Perhaps the Mini owners have even left their classic in the garage and brought the MINI? I'm curious as I've read this claim being made online and wouldn't know either way as I rarely visit any Mini shows. I have heard the Oulton Mini Fest is now overwhelimngly MINI. 100%, although you will never get full agreement on this. It's great that there are clubs catering for them, nothing wrong with that at all but if I went to a classic show hoping to see genuine BMC/BL tin and it was full of these I would be a bit miffed.